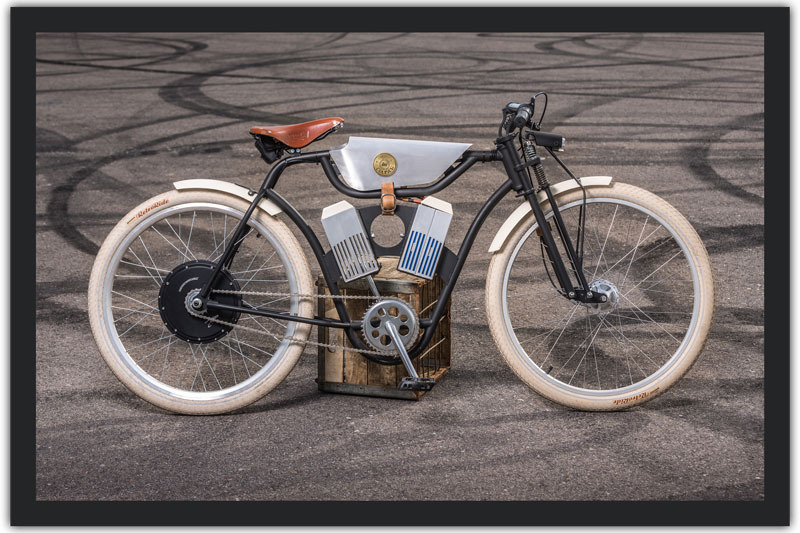 The Local Motors Cruiser is a modern take on a classic bicycle. It was designed by a member of the Local Motors community, and the first prototypes were built in our Microfactory. It’s a product of true co-creation and vehicle innovation, and you have the chance to own one of the first models available by taking part in the first-ever Local Motors-sponsored crowdfunding campaign. 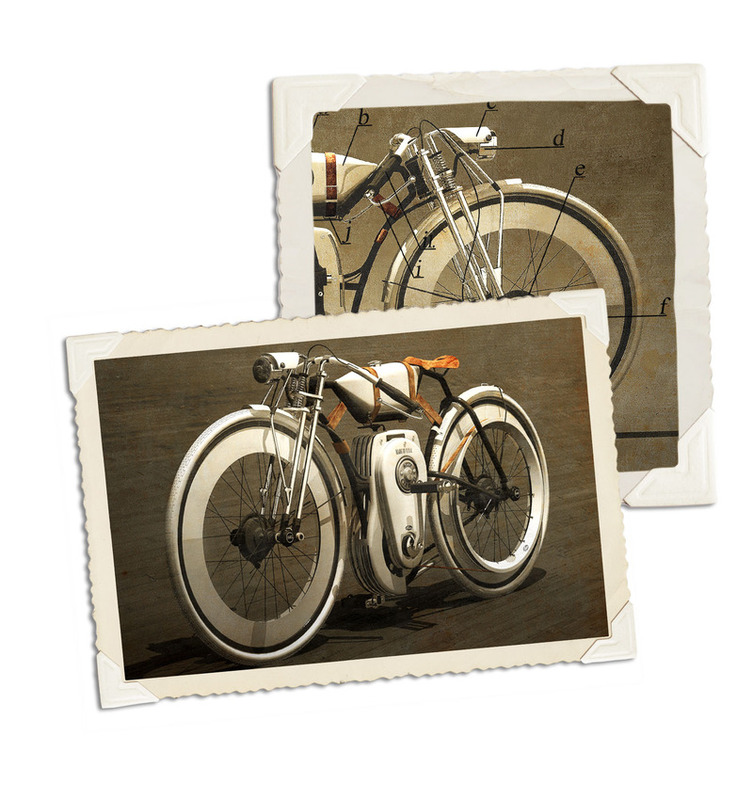 Pre-order prices are available on a limited quantity of cruisers while supplies last, so act now to receive purchase your Cruiser motorized bicycle at a low, introductory price. Only 29 Cruisers will be available at the discounted price of $3,499! Once the campaign is over, Cruisers will have a MSRP of $3,799. By pledging your support to the campaign, you can be part of bringing a new designer’s innovative vehicle concept to life. Seven participation/reward levels, starting as low as just $1, are available. Once the campaign is fully funded, Local Motors will deliver the first production Cruisers - both electric and gas-powered selections - in March 2014. In addition to unique rewards, each funding level up to $400 will also include a discount on a future purchase of the Local Motors Cruiser. The zero-emissions Electric Cruiser can travel 20+ miles on a single, fully-charged battery set (up to 40 miles with a second battery), features a Brushless DC - 500W 36V rear wheel drive hub motor with regenerative braking, and in the current configuration is projected to cost less than $0.01 per mile to operate. 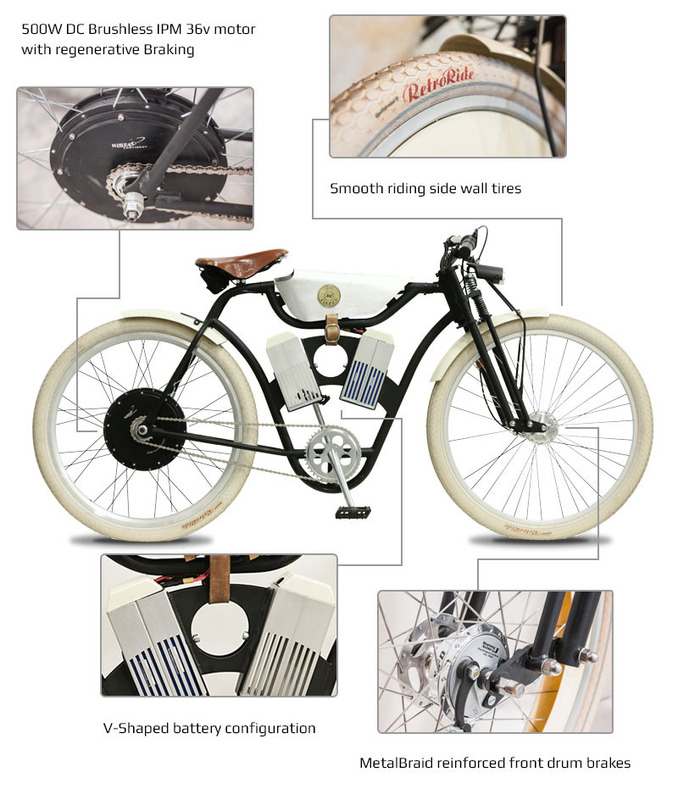 Whether in the city or a suburban neighborhood, the Electric Cruiser will give you an awesome vintage look with a modern, eco-friendly twist. Fun to ride, the Electric Cruiser is the perfect power-assisted bicycle choice for commuting to work; just ride it there, plug it in, and ride it home. 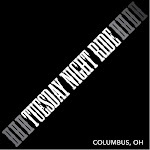 You’ll save money every day you ride it. 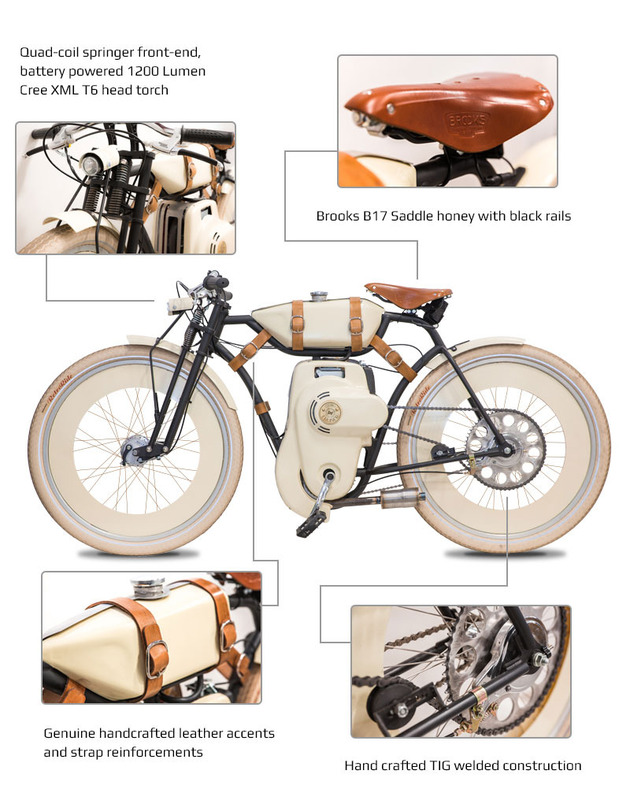 The gas-powered version of the Cruiser features a Honda GXH50 49cc 4-stroke air-cooled motor with 2.0 lb-ft torque at 450 rpm, can travel up to 70 miles on just one tank of gas, and gets approximately 150/mpg. 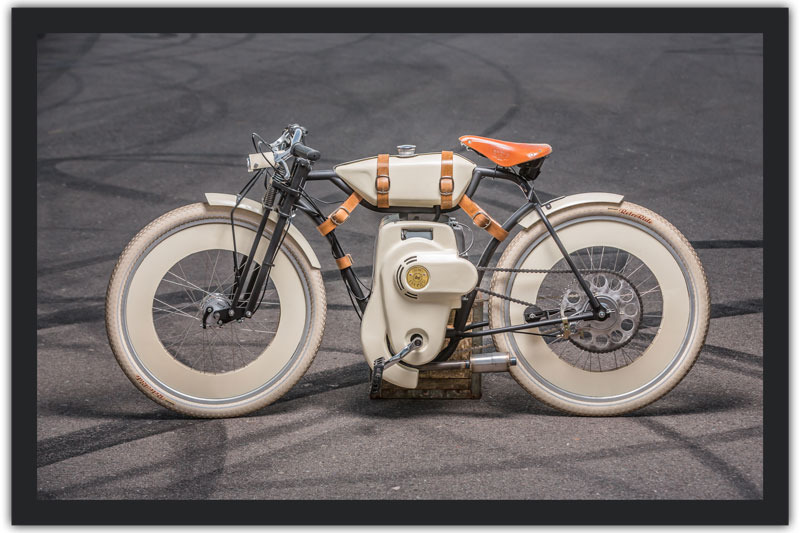 With a max speed of 34 miles per hour, the gas-powered Cruiser maintains the feel of a classic board track racer; from the iconic styling, to the riding posture, to the custom-tuned throat resonant stainless exhaust. 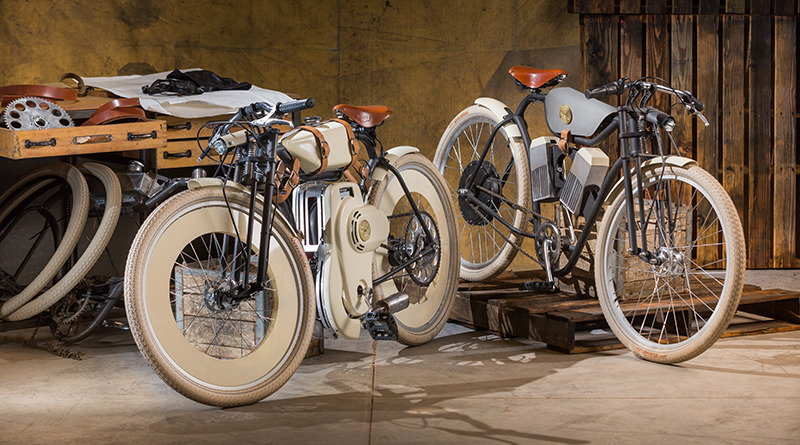 Inspired by the board track racers popular in the early 1900’s, the modernization of this bicycle style breathes efficiency into its classic design. The frame and exhaust are constructed of high quality, hand-welded 4130 Chromoly. Genuine handcrafted leather accents and strap reinforcements, including a high-quality Brooks B17 saddle in Honey with Black Rails, accompanied by a classic Quad-coil springer front-end, battery powered 1200 Lumen Cree XML T6 head torch, and hand-laced wheels with vintage, smooth riding side wall tires, add an elevated sense of class to the both versions of the Cruiser, each available in a luscious color palette of Creme, Black Satin and Honey with Chrome accents. To ensure everyone enjoys a comfortable ride, the Cruiser is available in two sizes, medium and large. Medium is suitable for people shorter than 5’7” (1m70), and the Large size is suitable for those who are taller than 5’7” (1m70). The Cruiser was designed by Ianis Vasilatos, a dedicated member of the Local Motors community and a talented vehicle designer. He took first place in the Local Motors Cruiser Design Challenge and quickly saw his concepts come to life at the Chandler, Arizona Microfactory. Ianis has been a member of the Local Motors CoCreate community since April 2011. He is one of the top Local Motors community designers. By day, Ianis is a production manager at the Queen Marry Theatre in Oradea, Romania. By night, he is a talented, passionate vehicle designer with aspirations to see his visions of vehicle innovation brought to life. His passion for vehicle design fueled his drive to create this incredible concept on his own time. 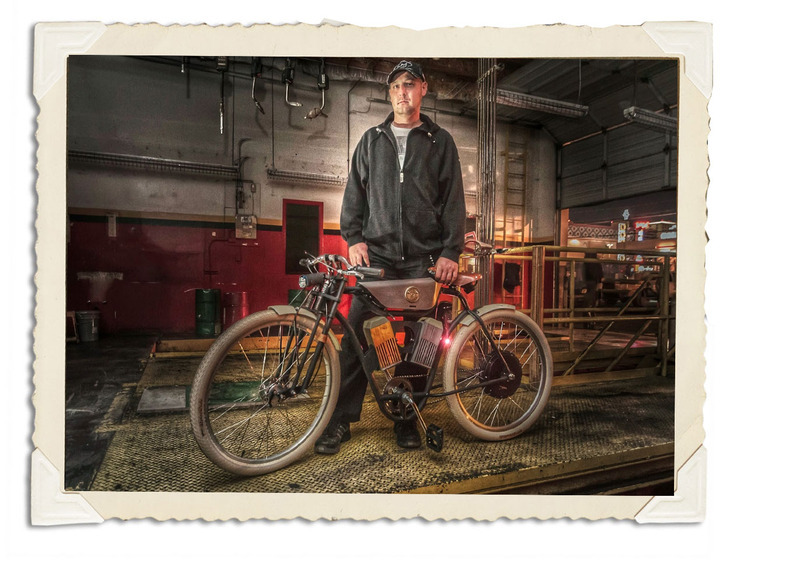 It’s this dedication to creativity and innovation that makes the Cruiser such an inspiring bicycle to build. It’s even more exciting to have the potential to offer this bike to the public, sharing this world-class design with cycling enthusiasts. *Although production Cruisers will be substantially the same as the development prototypes shown, all specifications are subject to change. 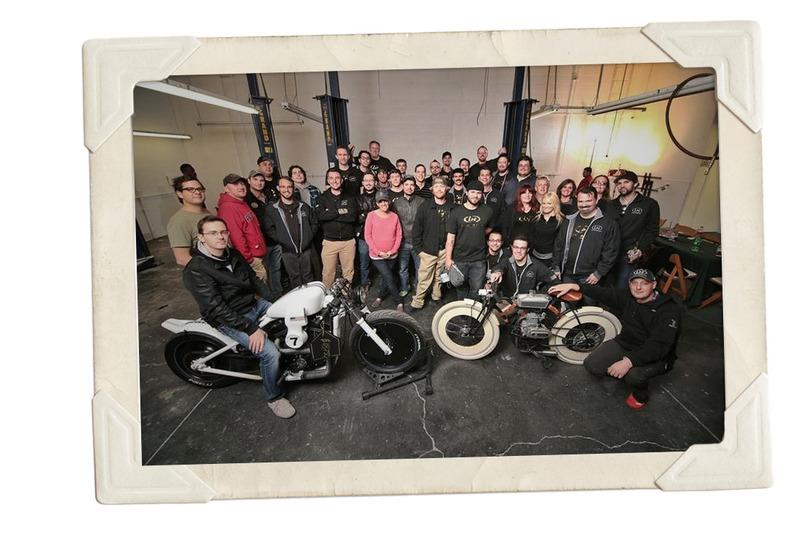 Our team is dedicated to solving any problem they’re presented with, whether it involves creating a new snowboard design, a food-delivery vehicle, a troop transport vehicle, or a motorized bicycle. Launching a crowdfunding platform is just the next step in advancing the concepts developed by the Local Motors community. Taking the Cruiser design, researching its development, and bringing it into reality is exactly what the Local Motors team is most passionate about.